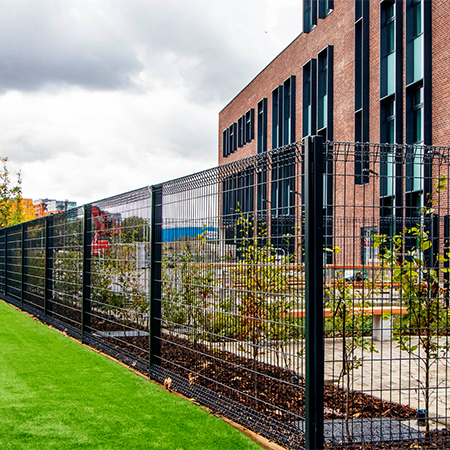 At CLD Fencing Systems, their range of School Fencing has been developed to cover all the requirements of the modern school design. CLD's rigid mesh systems take advantage of their unique SafeTFix hidden fixing system which offers zero external fixings across the Exempla, Ultimate and Rotop systems. At the same time CLD can supply ROSPA compliant railings from their Flexa-Rail range. However, if your client requires something that really stands out from the crowd then why not look at including CLD's bespoke Pencil Fencing or custom Laser Cut Fencing systems. Both of these systems are available galvanised and then fully Polyester Powder Coated in a full range of RAL Colours. It isn’t just fencing though that CLD manufacture; their range of gates include the dedicated Lockmaster Swing Gate system that can be infilled with the full range of CLD Fencing Systems panels. 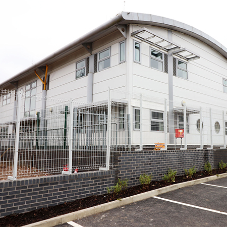 With all CLD school fencing they offer a full design service, that includes Revit Models, DWG Files and Q40 Specifications; checked and signed off by their technical department. This is matched by a 15 year manufacturers guarantee for complete peace of mind.